Fire emergency escape ladders provide you and your family a safe exit strategy in the event of a home fire. They are easy-to-store ladders that grapple on to the edge of a window-frame and unfurl strong steel ladder rungs to enable a secure escape (Source). Many users buy several to store in each room of upper-floor residences (Source). It's essential that you do a couple of fire-drills to get the hang of how to use the escape ladder you purchase- that way when your home is full of smoke you'll have no trouble accessing and deploying your emergency fire ladder. The 6 lb., X-It is our top fire ladder pick- It comes in 2, 3, 4, 5, 6-story lengths, boasts a tangle-proof design, compactly stores in a space the size of a shoebox, and deploys in seconds. It does need a window sill to work- and if you don't have one there are wall mounts that can be installed to hook on to. Users say that you should practice using the ladder from a low-height window, climbing all the way to the bottom, encouraging your family members to all become familiar with how to operate and descend the fire escape ladder safely. In order to figure out how long a ladder you require, it's recommended that you extend rope out the window, mark when it touches the ground, and then measure the length- you should purchase the next longest ladder from that length. This particular ladder has a lot of positive feedback from its users- and importantly it is a multi-used escape ladder. 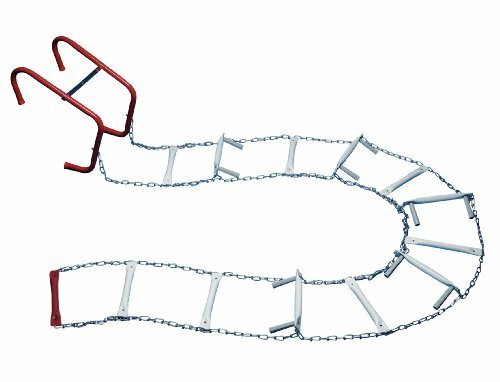 Many fire escape ladders are only designed for a single use, which makes it basically impossible to practice using. That said let's take a look at five of the best-selling emergency fire escape ladders on the market today and see how they compare. The 13’ long, 7.8 lb Kidde KL-2S Two-Story Fire Escape Ladder is a practical option that is very lightweight. Its users like that it is competitively priced, but are disappointed that it is for one-time use only, which means it cannot be used for practice. It is lightweight, stores compactly, and is fast and easy to deploy and tangle-free. It is made of anti-slip metal rungs and red nylon strap rails, which are flame resistant. It can support up to 750 pounds on one rung or 1,000 pounds when the load is distributed on more than one rung. It comes with a five-year manufacturer’s limited warranty. This compact ladder is a good option if you are looking for an affordable yet durable fire escape ladder. Most users who bought this ladder are satisfied with their purchase. 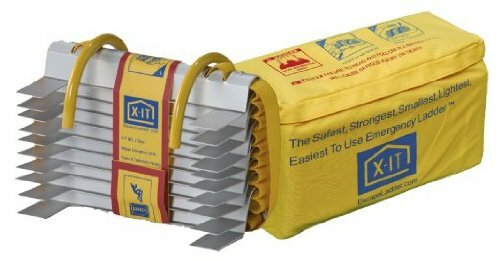 They like that it is well-constructed and feels durable enough to use during emergencies. Users are also pleased that it is lightweight, easy to store, and easy to use. However, they are a bit disappointed that it came with the warning that it is for one-time use only, hence it cannot be used for drills or practice. One buyer also noted that the hook does not fit their window sill. The 24’ long, 19 lb First Alert EL53W-2 Three-Story Escape Ladder is a good option that uses DuPont Cordura nylon strapping for extra strength and maximum durability. Its users are pleased that it has a sturdy built, but also note that it is very difficult to put back together. This ready to use ladder has a steel construction tested to 1,125 lbs, which means this ladder holds up to 375 lbs at a time. It fits window sills that are 6” to 13” deep. The ladder has slip-resistant, epoxy-coated rungs for sure footing, and steel stabilizers on each rung that lie flat against the wall to help you keep balanced as you climb down. It comes with a 6-year limited warranty. This ladder is a good option if you are looking for an affordable 3 story escape ladder. Users of this ladder find this product reasonably priced and are glad that it can be used for practice multiple times, unlike the other leading brand that has a single-use only warning. A few users say that deployment may not be very intuitive, as the rungs faced the wrong direction the first time they practiced using this item. The chief complaint of most users is how difficult it is to assemble back together after deployment for storage. Steel stabilizers need flat surface to rest against when climbing down, and may break glass windows if there are under the second level windows. The 13’ long, 6 lb X-IT Emergency Fire Escape Ladder is an excellent option that has won awards for its design and function. Its users love that it is very safe and easy to use, but also note that the hook may be too small to fit thicker window sills. It is tangle-free and very quick and simple to deploy. The grapple hooks are made of steel, the rungs are aircraft grade aluminum, and the straps are industrial grade nylon. The rungs have standoffs so you have room for your hands and feet while climbing down. It can be used multiple times and has been tested to 1,000 lbs and rated for 333 lbs. It stores to dimensions about the size of a shoe box and comes with a storage bag. It comes with a 10-year limited manufacturer’s warranty. This award-winning product is an outstanding option if you are looking for a lightweight yet strong and dependable emergency escape ladder. Users of this emergency ladder are highly satisfied with the product’s excellent design and great quality and functionality. They are also quite happy that it is super easy to deploy, and one user even said that her 4-year-old daughter had an easy time putting it up and getting it out of the window. People who own this product are also delighted with its compact size that makes it easy to store. However, a few users say that it will not fit thick window sills. 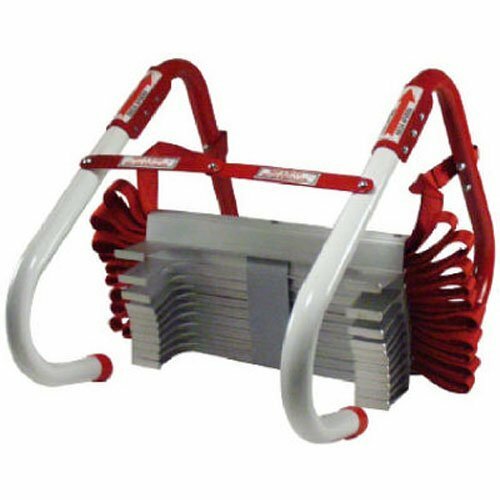 The 25’ long, 20.8 lb ResQLadder FL25 Three-Story Portable Emergency Escape Ladder is a solid option that has 18/20-gauge steel hooks and 2/0 double-loop chains. Its users love that it is made of high-quality materials, but also note that it is more expensive. The ladder has been tested to over 1,000 lbs, which means that more than one person can descend at the same time. It comes ready to use and deploys quickly from its corrugated storage case. It arrives with both pre-installed standoffs and additional customizable standoffs, which can be specially placed for increased stability for special wall conditions, like a lower glass window or an obstruction beneath the exit window. It is backed by a lifetime limited warranty. This well-made product is a good option if you are looking for a durable escape ladder. Users of this product generally agree on its great quality and durability. Many of them are pleasantly surprised that it is not heavy or cumbersome to use despite it being made completely of metal. One user said that even though it was heavier, a child using it does not need to lift the entire thing to deploy it, since you just need to take the bottom rung (which is a different color and packaged to sit right on top, so it is easy to find) out and throw it out the window, then start throwing handfuls of the rest of the rungs out until the hooks. Another user liked that it comes with extra customizable standoffs, which keep the ladder from breaking the lower windows of his house in the event of an escape. However, its higher price point and need for larger storage space may discourage future buyers. The 14’ long, 12.1 lb First Alert EL52-2 Two-Story Escape Ladder is a great option that uses DuPont Cordura nylon strapping for extra strength and maximum durability. Its users love that it is a good solid performer, but also note that it may be too difficult for kids to deploy on their own. This fully assembled ladder has a steel construction tested to 1,125 lbs, which means this ladder holds up to 375 lbs at a time. It fits window sills that are 6” to 10” deep. The ladder has slip-resistant, epoxy-coated rungs for sure footing, and steel stabilizers on each rung that lie flat against the wall to help you keep balanced as you climb down. It comes with a 6-year limited warranty. This durable ladder is a solid option if you are looking for a well-made yet affordable escape ladder. Users of this ladder attest to its great quality and dependability. They love that it’s quite easy to deploy with a strap holding the rungs together until mounted. One customer who weighed 185 lbs has tried using it multiple times successfully. There are users who say that due to its weight, young kids may not be able to deploy this on their own, although there was one user who said that his 5-year-old kid could do it without issues. A few who have tried it also say that they observed tangling when they tried using it. Another user does not like that its steel stabilizers may break glass windows if there are any that it rests against. Steel stabilizers need flat surface to rest against when climbing down, and may break glass windows if there are any under the exit windows. Escape ladders can be life-saving devices. You can store them in small spaces, deploy them in emergency circumstances, ensuring that you are somewhat protected against the threat of a fire, home invasion or other residential emergency. They will attach to most windows and when unfurled stretch out to form a rugged, flame-resistant ladder, with the Kitty two-story escape ladder being able to support up to 1000 pounds. These escape ladders are primarily designed to assist families in the event that their house goes up in flames. 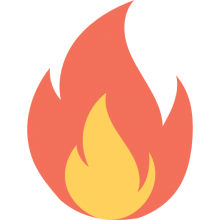 First Alert writes that in 2005 alone, there were 381,000 residential fires in the United States that caused more than 16,000 casualties. It is recommended that escape ladders are used in conjunction with smoke alarms and fire extinguishers to form a secure fire-prevention and escape strategy for your home or business. Given that you may need emergency ladders of different lengths to accommodate grappling on to windows of different heights, there are escape ladders available, particularly from ResQLadder, that come in 12 foot, 15 foot, 25 foot, 35 foot, 50 foot varieties. This particular escape ladder manufacturer writes that it is ideal for using in the upper stories of condominiums, corporate office buildings, residential apartments, as well as homes- providing a safe and secure way of exiting the premises in the event of a fire emergency. One user in particular commends it for its functionality with small children- a father, he purchased one of these emergency rescue ladder to store in each of his children's room so that they are all protected in the event of a calamitous inferno. He says that while it is pretty heavy, all you have to do is drag the box to the window, grab the bottom wrong and throw it out the window. The fire ladder will eventually hook onto the window- after a couple times practicing this during a mock fire drill, his children became pretty proficient and he felt safe and secure knowing that they were capable of escaping out of their bedroom windows. Other users also say that it is especially important to run fire drills every so often so that you are familiar with how to use your emergency escape ladder. Another user wisely comments that in emergency situations, often times people will find they do not have the tools they require to deal with the crisis. That is why it is so important to purchase a fire escape ladder, make sure your fire extinguishers are up to date and functional, your smoke alarms are in good working order, and to perform regular fire drills with your family so that in the event of a home fire they will know what to do.